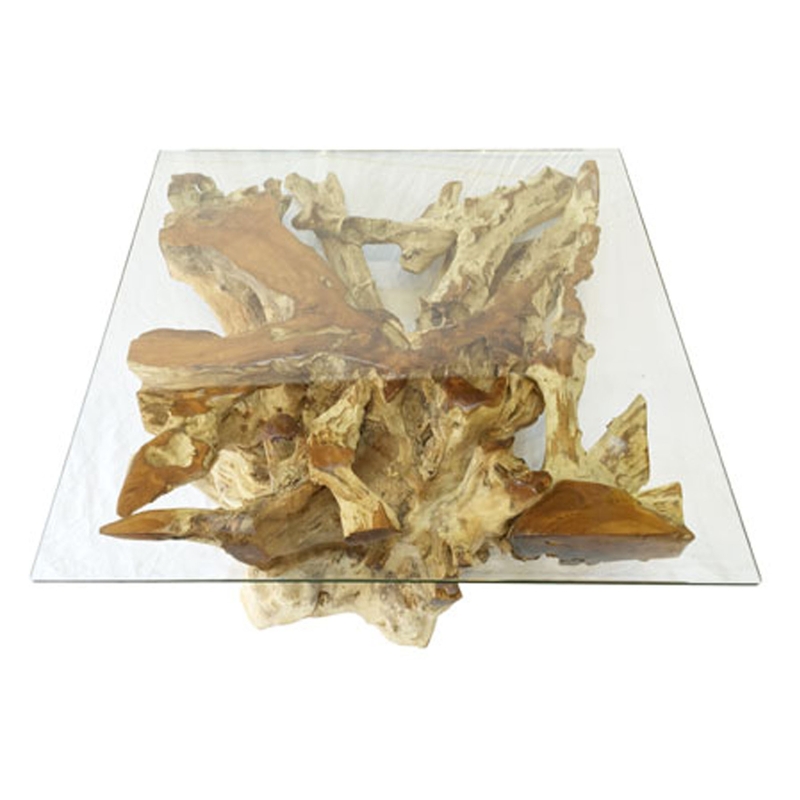 Add a modern and contemporary style to your home by introducing this spectacular Teak Root and Glass Square Coffee Table Spider Stone Small. This piece contains a wonderful teak root base which looks very original. This piece has then been given a square glass top which makes it look even more modern.